Heeft u een vraag voor Badiah Hotel? Gelegen in Kianggeh is Badiah Hotel de perfecte keuze voor reizigers die Bandar Seri Begawan en omgeving willen bekijken. Vanaf hier kunnen gasten genieten van eenvoudige toegang tot alles wat de levendige stad te bieden heeft. Dankzij de praktische locatie liggen alle belangrijke trekpleisters in de buurt van het hotel. Het Badiah Hotel biedt gasten superieure dienstverlening plus een breed scala aan voorzieningen en is toegewijd om uw verblijf zo comfortabel als mogelijk te maken. Terwijl u verblijft in deze geweldige accommodatie, geniet u van faciliteiten als gratis wi-fi in alle kamers, 24-uur beveiliging, dagelijkse schoonmaak, cadeau-/souvenirwinkel, taxi service. De ambiance van het Badiah Hotel weerspiegelt zich in de inrichting van de kamers. aparte woonkamer, plasma tv, draadloos internet (gratis), rookvrije kamers, airconditioning zijn slechts enkele van de faciliteiten die u ter beschikking staan. Het hotel biedt fantastische faciliteiten, inclusief zwembad (buiten), zwembad (voor kinderen), zodat u kunt onthaasten na een bezige dag in de stad. Wat de reden van uw bezoek aan Bandar Seri Begawan ook is, het Badiah Hotel is de perfecte keuze voor een enerverende vakantie. Alle speciale verzoeken zijn afhankelijk van beschikbaarheid en additionele toeslagen zijn mogelijk van toepassing. Great hotel, spacious, clean rooms. Breakfast is decent. The pool is small but nice. Walking distance to mosque and water village. Right next to a supermarket and near many nice restaurants. Free airport shuttle is a huge plus. All other services is good indeed and i love staying here. 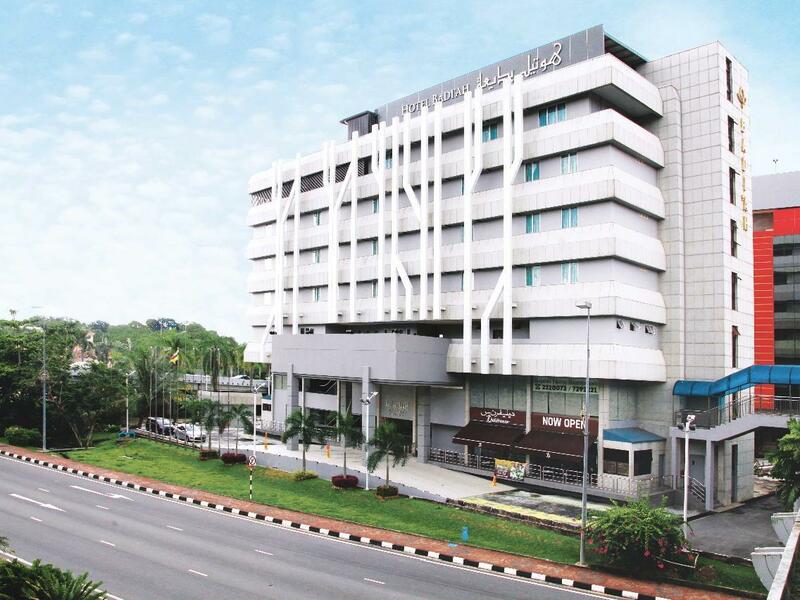 Anyway a suggestion in which the hotel may consider in improving it services by providing shuttle for guests to the city (with specific drop off or pick up point like the yayasan shopping complex) or jerudong park since it’s hard to get taxis around. May not be free but with charges per pax for return ride (e.g. B$5) i believed it would be helpful and convinient to tourists too. Overall experience was good. The room is clean and spacious, the breakfast was ok, the staffs were friendly. The only thing that surprised us was that we were asked to pay BRN2 for each extra towel that we asked for, which is supposed to be free of charge in other hotels. This time, i arranged this hotel for my parent to stay, because they went to Melbourne and arrived in Brunei at late night (around 11pm). The hotel do provide shutter service from airport to hotel, which i think this is a great offer for us. According to my parents, the hotel staffs are very friendly (Language friendly too), helpful. Will visit this hotel again next time. The location of the hotel is not in the center, being near the mosque or the river. but it is very near the center, just a bridge away. 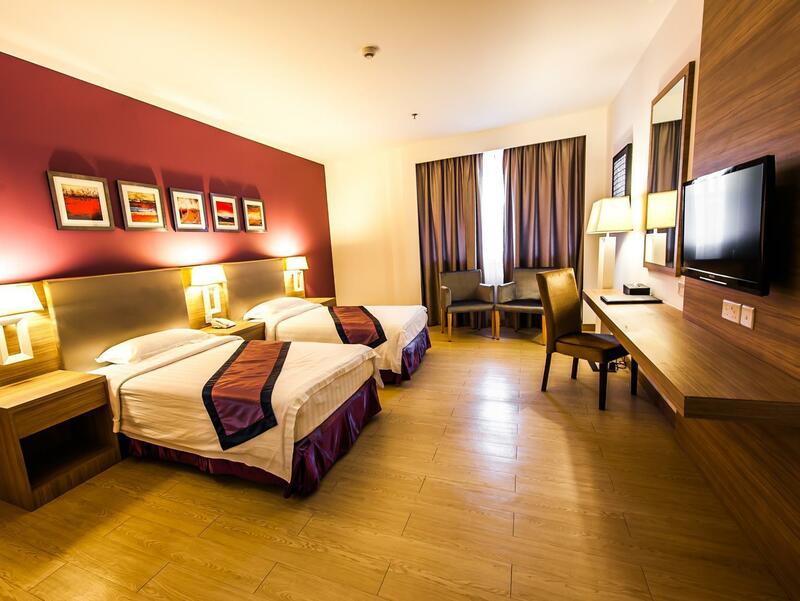 Big, clean rooms, great staff, free breakfast, will definitely recommend Badiáh Hotel. Excellent location, within walking distance to the city and waterfront and also the water village. Outstanding staff, excellent room quality and also very decent breakfast. The complimentary airport pickup and drop off service was a bonus. Happy to return and stay at Badiah again without a doubt. Booked this hotel as we were in transit. Both forward and return and we were very pleased and excited at the accomodation. The staff were friendly and helpful, breakfast was good. Airport transfer was a plus. Will definitely recommend this hotel. Thanks to this hotel for a free round-trip transfer service from the airport. We were surprised that there was a free pick-up service to take us to work at KirongComplex, and let us call them to pick us up if we were going back to the hotel. I absolutely loved this hotel, the customer service was actually amazing! I had never stayed over night in Brunei before just super quick layovers so was a bit nervous, but the staff there were exceptional. Organizing me a airport transfer so I had no hassles, letting me hire travel adapters as I didnt have the right ones, and giving me a lot of advice and booking me with a private driver for a day of touring which was great! Will def stay again and for longer. The hotel room itself was awesome too! This is a great option if you arrive late in BSB. We arrived off the bus from Miri at about 8:15pm and didn't have much choice but to use a taxi to drop us. It was BND $15 for a taxi and took about 7 or 8 minutes. That said, taxis are VERY rare in Brunei, so no complaints there. If we had a map, we could've walked the distance in about 10 minutes. Hotel staff are very friendly and one of the few places still open past 8pm. Very convenient is the cafe next to the hotel lobby--they are open until 10pm and have a great menu (try the Thai chicken chop). The hotel has a pool, though we didn't use it. The staff gave us a free upgrade to room with two double beds. Room was clean and spacious, bathroom was tiny but clean. Hotel is located about a 15 minute walk from the center of things--not bad, but be prepared because there is no shade along the walk except for a couple spots on the new footbridge. Also--a supermarket is located in the building just behind the hotel. Very good location, just 10 min from the airport and close to the City center. Very nice and professional staff. Thank you! The room is clean and spacy. I would recommend whole-heartedly to my friends. It a decent hotel. clean and comfortable. but breakfast is nothing to shout about.